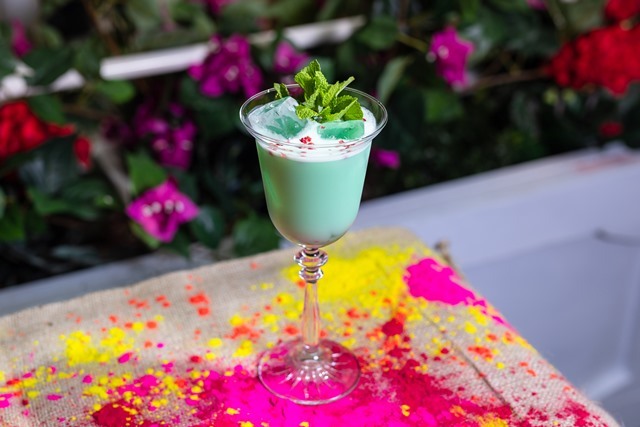 Get ready to welcome the start of spring as Mrs Fogg’s Maritime Club and Distillery celebrates the launch of their new, spring express lunch menu and dedicated Colour Cocktail Menu in time for the Holi Festival of Colour. Taking guests on a fantastical journey aboard the Rangoon Steamer, the new express lunch menu, available until the end of May, takes inspiration from Aouda’s memories of home, filled with flavours and fragrances including; the ​Festival of Colour Salad​, served with a choice of ​Tandoori Chicken or Tandoori Salmon ​, the ​Springtime Salad, with a ​Mango Mustard Mayo, Tomatoes and Crushed Poppadoms topped with Parmesan and Chilli Flakes and​ Holi Special Samosa Chaat​,​crushed Punjabi Samosas served with Chickpea Masala and topped with​Yoghurt, Tamarind Sauce and Pomegranate. Available from Monday – Saturday each week, guests can enjoy an express lunch in Broadgate Circle with these vibrant dishes and cocktails, before returning to the hustle and bustle of the City of London. 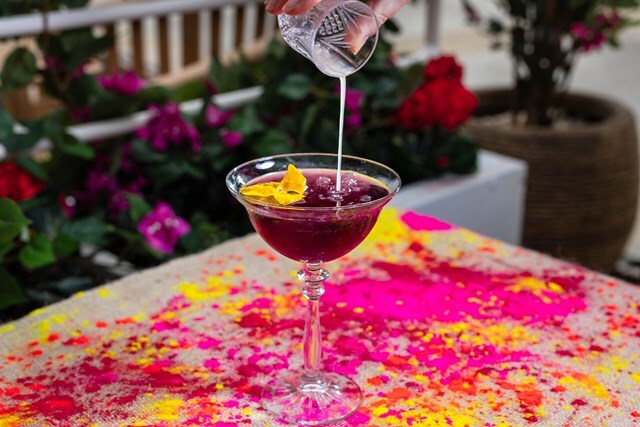 In celebration of Holi and the start of spring, guests will be able to sip on a delicious menu of vibrant colourful cocktails. Offering guests a taste of each colour of the rainbow, Mrs Fogg’s Colour Cocktail menu​will feature four specials including a colour changing cocktail; ​Bombay Butterfly​, made with ​Bombay Sapphire infused Butterfly Pea Flower Tea, Apricot Liqueur, Sugar Syrup and Citric Acid, ​ Sunshine & Spice​, with ​Bacardi Cuatro, Amaro Montenegro, Orange Juice, Turmeric, House of Broughton Ginger Syrup and Lime for a seriously orange spice sensation, ​Aouda’s Aperitif ​the perfect pink creation ​made with ​Monkey Shoulder Whisky, Aperol, Lemon Juice, Grenadine and Rose Water ​ and ​Verdant Voyage a luxurious blend of​ Creme De Menthe Verde, Creme De Cacao Blanc, Coconut Cream, East India Solera and Pistachio & Coffee Syrup. 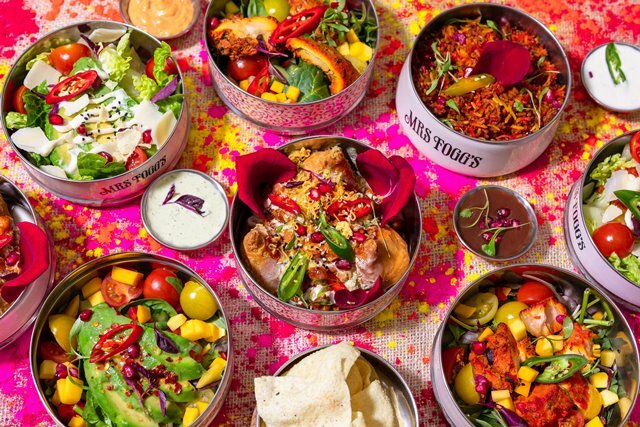 Head Chef Jayanta Pal said:​Holi, the festival of spring, colours and love is celebrated across India and we are really excited to offer guests a taste of the subcontinent by launching the new spring menu at Mrs Fogg’s. Offering local workers an express lunch means guests can enjoy a moment out of their day, to enjoy a menu filled with flavour and vibrant colours. 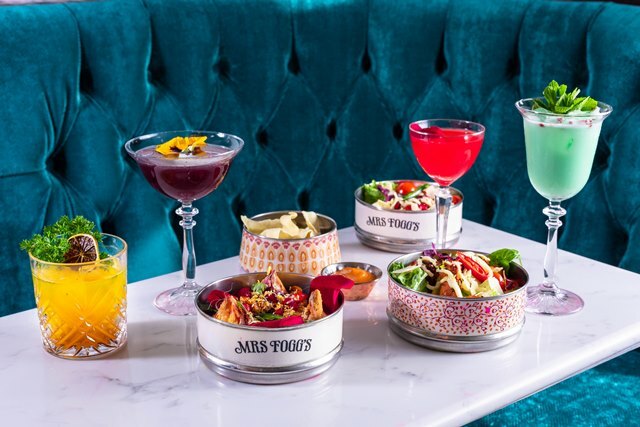 Mrs Fogg’s Colour Cocktail and express lunch menu will be available from Wednesday 20th March through to Friday 31st May 2019.